Loving this simple DIY solution from the folks at Livet Hemma sent in this week. 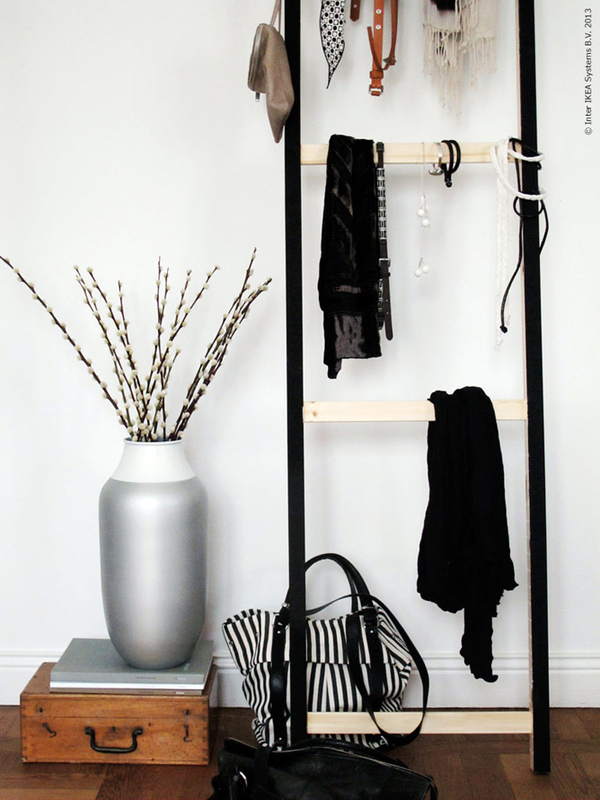 They painted the IVAR side unit (vertical bars only) in black, leaving a great contrast to the untreated solid pine horizontal bars –makes for an awesome accessories valet or towel ladder for the dressing room or bathroom. Love it, it's funny I actually wrote about Ikea Inspiration today as well! Anyway thanks for sharing.